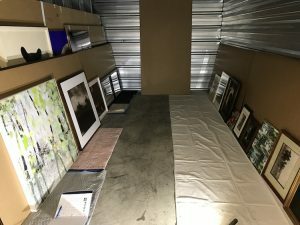 Smoke damaged framed collectibles – they smelled to high heaven!! While a household item like throw rugs, dishes, toys can be treated with household products to minimize odors, the same products and handling are going to cause damage to frames, art and antiques, vintage items, memorabilia and heirlooms. Damage to these types of items often results in frustration and the item being thrown out. Such was the case last weekend when there was a disconnect between the father and the adult son. 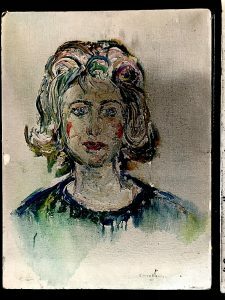 The son went on the search for professional services to take care of odors and mold on 3 paintings by the grandmother and dad decided to hit the artwork with a rag and an off-the-shelf cleaner and stain remover. 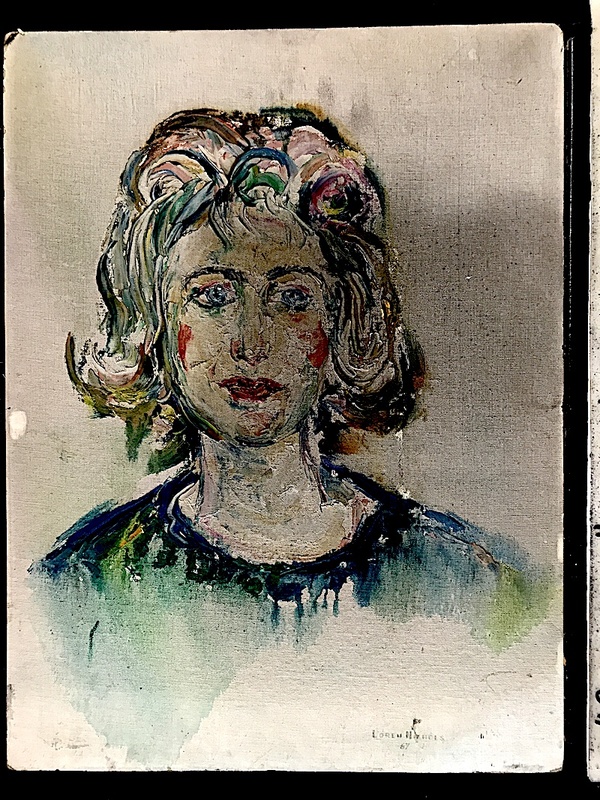 Before we could get over to the house to inspect and answer questions the next morning, the two items the dad worked on had been thrown away and only 1 of 3 paintings were saved. There was a “lively” family discussion that resulted with many badly hurt feelings. Consider the value of these family history items to prompt memories and the retelling of stories in a family. They document the family’s history. In short, they contain an important part of the family’s memory and keep the heritage alive in the minds of the future generations. Throwing these types of items out results in grave multigenerational consequences. 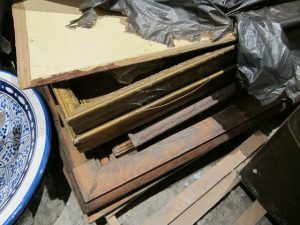 If you happen to have items that have a monetary value, you can imagine the compromised value if it smells badly, is mold infested or is dirty from smoke. 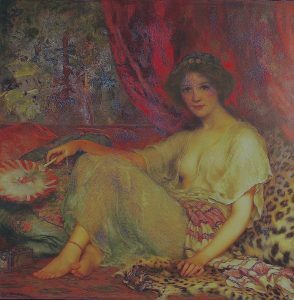 Fire cooked this gorgeous Pre-Raphaelite 19th century oil painting and smoke damage choked the colors and composition. Odors an also prompt physical reactions such as rashes, allergic reactions and nausea. Hard to kill, they can re-flower at anytime conditions are agreeable in the future. This past year, Santa Paula, Ventura to Montecito (Thomas Fire), Malibu and Thousand Oaks/Agoura Hills Area (Woolsey Fire), The Hill Fire, Southern California was the center of major natural wildfire disasters. Other major fires raged Central and Northern parts of CA. The Thomas Fire covered Santa Barbara and Ventura Counties in ash and smoke and then close on the fire’s heels, a mudslide filled commercial and residential buildings with boulders, mud, and debris. 1,000’s of home were impacted and 100’s damaged badly or obliterated by the boulders being pushed by the mudslides. Without minimizing the apocalyptic conditions that resulted and the impact on personal lives and the community, Fine Art Conservation Laboratories provided professional services for saving, protecting and restoring collectibles, artwork and family history items. 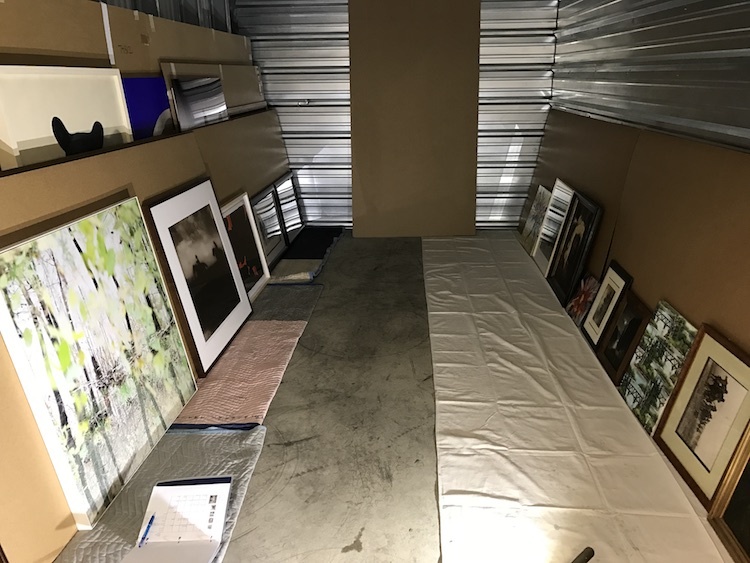 For Thomas Fire Recovery, FACL wrote over 60 insurance claims proposals for the cleaning and care of over 7,000 art related items. We are madly responding to the Woolsey Fire requests as I write this blogpost. I hope this blogpost has given you the confidence to call us and we look forward to hearing from you to answer your questions as a free service. Framed items being damaged from poor handling… not the disaster. This entry was posted in Disaster/Emergency Response and tagged Smoke odor on collectibles. Bookmark the permalink. Well, Sarah, we take over on handling and treating items that have high value financially, historically or emotionally. You don’t want someone hitting the family bible with a mop like the couch!! I didn’t realize that you can find a smoke damage repair company to help repair old paintings as well as walls and carpeting. That would be really helpful for my cousin. They just had a kitchen fire while they were out of their home and need to find a smoke and fire damage repair company.